Coconut Sugar - Is It A Healthier Sugar Or Another Big Fat Lie? 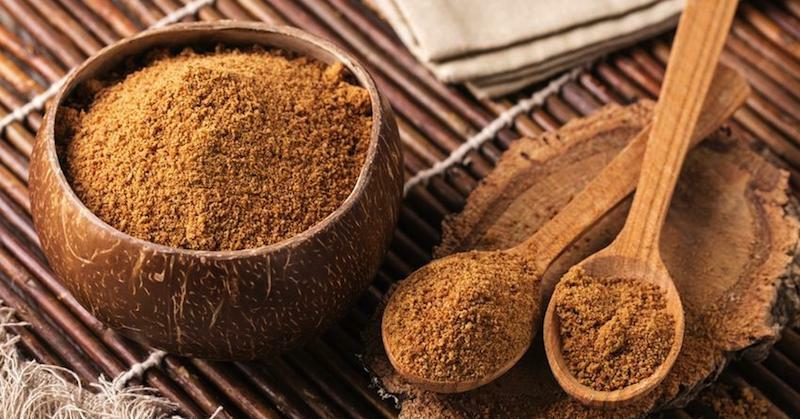 Coconut Sugar Sounds Healthy, Is It Really Better Than Regular Sugar? As the harmful effects of sugar and high fructose corn syrup become increasingly more evident, people are turning to natural alternatives. A sweetener that has become very popular in recent years is coconut sugar. This sugar is derived from the coconut palm tree and is touted as being more nutritious and lower on the glycemic index than sugar. There is a lot of talk about this sweetener online and I’d like to separate the facts from the fiction. Coconut sugar is also called Coconut Palm Sugar. It is a natural sugar made from sap, which is the sugary circulating fluid of the coconut plant. It is often confused with Palm Sugar, which is similar but made from a different type of palm tree. Is Coconut Sugar More Nutritious Than Regular Sugar? Regular table sugar and high fructose corn syrup don’t contain any vital nutrients and, therefore, supply “empty” calories. However, coconut sugar does retain quite a bit of the nutrients found in the coconut palm. There isn’t a lot of data on this, but according to the Philippine Department of Agriculture, coconut sugar contains several nutrients. I’d like to point out that even though coconut sugar contains some nutrients, you would get a lot more from other real foods. Coconut sugar is very high in calories (same as regular sugar) and you’d have to eat a ridiculous amount of it to satisfy your need for the above nutrients. The Philippine Department of Agriculture measured the glycemic index of coconut sugar and compared it to glucose. According to them, coconut sugar is given a GI of 35, which puts it in the low range. This is much lower than table sugar, which is somewhere around 60. Regular sugar isn’t bad for you because it is empty calories or has a high GI, that’s just the tip of the iceberg. The main reason sugar is so unhealthy, is because it is loaded with fructose. But here is the kicker … even though I see claims all over the web that coconut sugar is effectively fructose-free, it is made of 70%-80% sucrose, which is half fructose (2)! Consumed in excess, added sugars will cause all sorts of problems like metabolic syndrome, obesity, diabetes and cardiovascular disease. I don’t see any reason why the same shouldn’t apply to coconut sugar. If you want to buy coconut sugar, then there is a good selection on Amazon with hundreds of customer reviews that are fun to browse through. At the end of the day, coconut sugar is no miracle food. I’m going to have to put coconut sugar in the same boat as honey. It is healthier than refined sugar, but not having any sugar is even better! I would recommend unrefined palmarah based sugar. In Sri Lanka its called panangkatti or karupatti.